Sinister Visions News and Updates: Come See Chad Savage as Part of Reel Art's 4th Annual Artists Day in Berwyn, IL, March 4th! 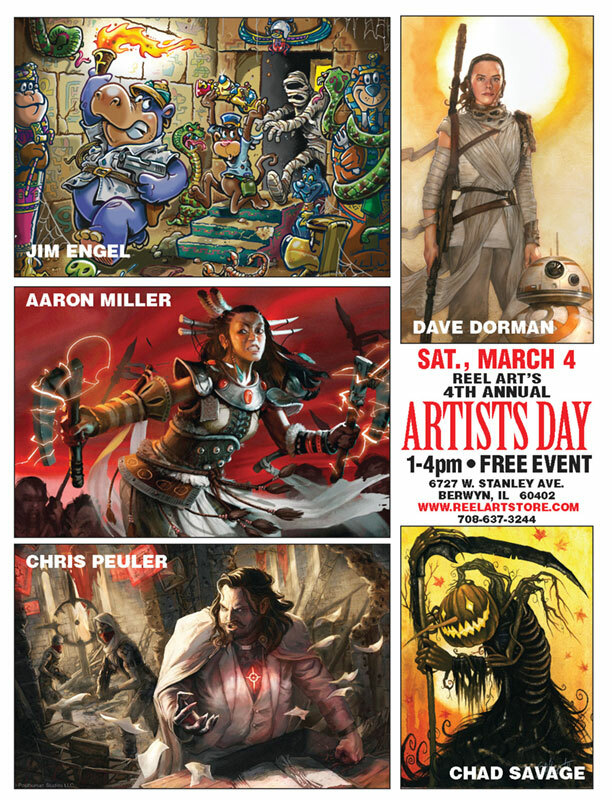 Come See Chad Savage as Part of Reel Art's 4th Annual Artists Day in Berwyn, IL, March 4th! Chad Savage will be signing and selling artwork, prints, patches, pins and more as part of the 4th Annual Artists Day at Reel Art in Berwyn, IL, along with artists Jim Engel, Aaron Miller, Dave Dorman and Chris Peuler. This is a FREE event from 1:00 pm - 4:00 pm. Reel Art is located at 6727 W. Stanley Ave., Berwyn, IL 60402. Full details at http://www.reelartstore.com!